I’m excited to welcome you to Regency Hospitality Training Institute (RHTI) and to provide you with the opportunity to explore your creative passion as a student of Hospitality Management! Appreciating the full impact of hospitality on local jobs,wealth,culture and heritage is the first crucial step to unlocking the industry’s potential for regeneration and re balancing growth across Bangladesh. This knowledge also provides the building blocks toward local and international hospitality blueprints for competitive, dynamic and sustainable growth. 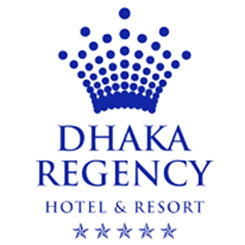 we believe RHTi will enable its aspiring students to build a professional career in the hospitality industry through a personalized approach, research-based,professional instruction and working very closely with industry to give them a career of choice.RHTi is also committed to working with hospitality businesses,local communities and local government to realize the opportunities for thriving economies that can firmly advance the Bangladesh’s agenda for growth and that can ensure a healthy competitive position for the future. The underlying objective of the institute is to promote Bangladesh culture and values through the holistic approaches to management imbibing the teachings and technical know how, thereby supplying the dynamic manpower to the Hospitality Industry. All of us at RHTi look forward to serving you.